As the first trimester or semester is be coming to a close, you may start to notice your child getting more stressed over classes and exams. It is common for all kids to have some nerves over an important test or project. A certain amount of stress may help them focus and put more importance on their school work. So don’t stress out based on your kid’s stress. Instead, you can help them learn healthy stress coping habits and study habits. 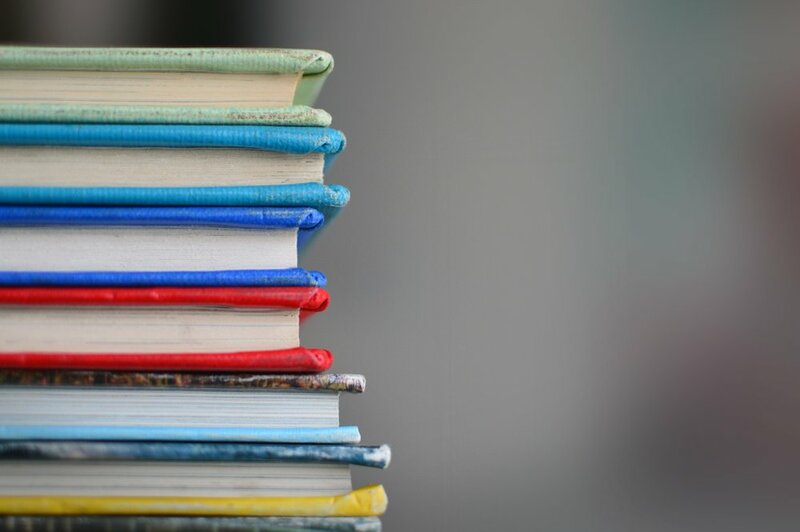 Even if math still feels like a foreign language to you and you don’t remember the last time you had to write a book report, these tips supported by top psychologists will easy for both your child and you to pick up on! Homework Assignment #1: Getting Organized! We all know how much better it feels to have everything written down and planned out. It is simple to help your child have the same feeling. Help your kids get organized each night by showing them how to organize their papers and writing down their homework in a planner. Make the organization more fun and useful by color coordinating folders (or other organization tool) and the planner! Write down a class’s homework in the same color as that class’s folder! Help your kids learn time management and keep them focused by making a homework schedule! 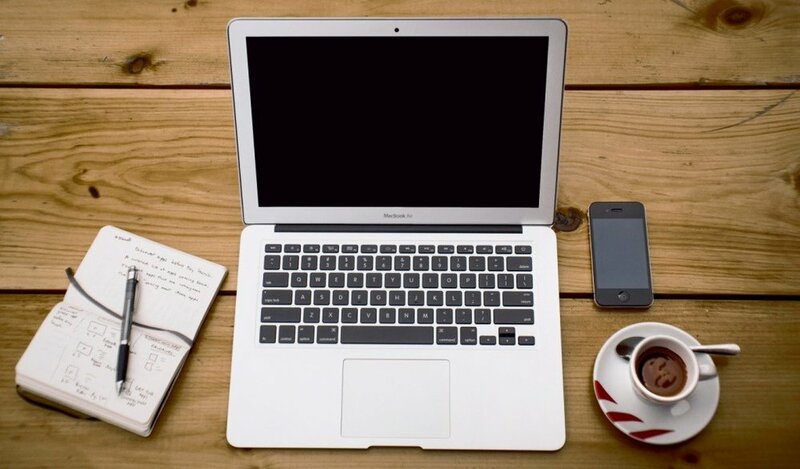 This can look like for 30 minutes of work without distractions (no phone, music, or tv, etc.) they get a 5 minute break! Bring out some crafts or snacks during those 5 minutes as a reward. Homework Assignment #2: Coping well with stress! Coping well with stress is tools that all of us need to add to our tool box. Stress is a necessary part of life and continues past the school-aged years. It doesn’t have to be an overwhelming emotion though; stress can be helpful at times if we know the right ways to deal with it. Talking it out with your kids can be exactly what they need. Let them tell you about their worries about school and even let them complain a little bit about it too if that’s how they are feeling! Just listening to them will make them feel loved, valid, and calmer. The paper trick! This stress reducing strategy has been proven by psychologists in several experiments. On the day of the test and especially right before, have your child write down anything that they are thinking about on a blank piece of paper. This can be statements “I’m so worried. What if I? ?”, facts about the test, things that happened in their day, etc. Writing down everything that comes to their mind helps students become calmer and more focused during the exam. Healthy behaviors are very important all the time but especially when we are stressed. Make sure your child is getting enough sleep, exercise (a fun study break idea! ), and eating nutritious meals! Making them close the books and turn off electronics about 30 minutes before bed will help them sleep more soundly as well. Celebration rewards make exams and studying fun! Think of a little sweet treat or special moment that you can share together after they finish examens or hit a studying checkpoint. It can be something smaller and cheap such as playing their favorite sport together or having a little dance party. Have a growth mindset! One of the most important lessons that your child will learn in school is that their intelligence and abilities are not fixed. They can always grow and improve if they put in the work! Make sure when you encourage them that you focus on how hard they’re trying, and the progress that they’ve made. These are much more powerful than solely focusing on academic success as a special talent. Here are some examples of what to say and what to avoid! It is just as important to teach your kids to talk to themselves this way too! Here are a few examples of ways they can do that. All parents have faced it. The lip-sealed shake of the head of your children when presented with bright green vegetables. Or maybe you’ve even gone to battle with the shove of the plate back towards the middle of the table. Sometimes that argument over eating your vegetables isn’t worth the fight, but we all know our kids still need to get all the nutrients that are present in vegetables. We completely understand the challenge of "Eat your vegetables", so we’ve tried out 4 healthy recipes full of veggies and nutrients. And your kids won’t even know that they are eating vegetables! Make these homemade plantain chips instead of buying potato chips at the store! Plantains are high in fiber, vitamins A,C,B-6, Magnesium and Potassium- all necessary for a healthy body! They also are lower in fat and sodium than potato chips! What you need: 1 plantain, around 2 tbsp olive, avocado, or coconut oil, and seasoning! 1 plantain will give you two servings of chips! How to make them: Peel and slice the plantains thinly into circles. Mix the plantains with olive oil and the seasoning of your choice. We love the combination of turmeric, garlic, and cumin or something simple like paprika and sea salt! It’s easiest to mix it in a bowl or you can mix them right on a cooking sheet. Roast the plantains in the oven at 350 for 20-25 minutes! Plantains should be a golden brown and crispy! You can store them at room temperature for a few days. These are another great way to add in more colorful veggies into your children’s diet. What you need: 4 or 5 carrots or 1 sweet potato will make about 2 servings! How to make them: Cut the carrot or sweet potato into strips (think french fries!)! This is easiest if you do it with full length carrots, but baby carrots can work too! After their cut, mix them with about 2 tbsp of olive oil and your favorite reasoning! Bake at @425 F. for 20 - 25 minutes. Make sure you flip about half way through! 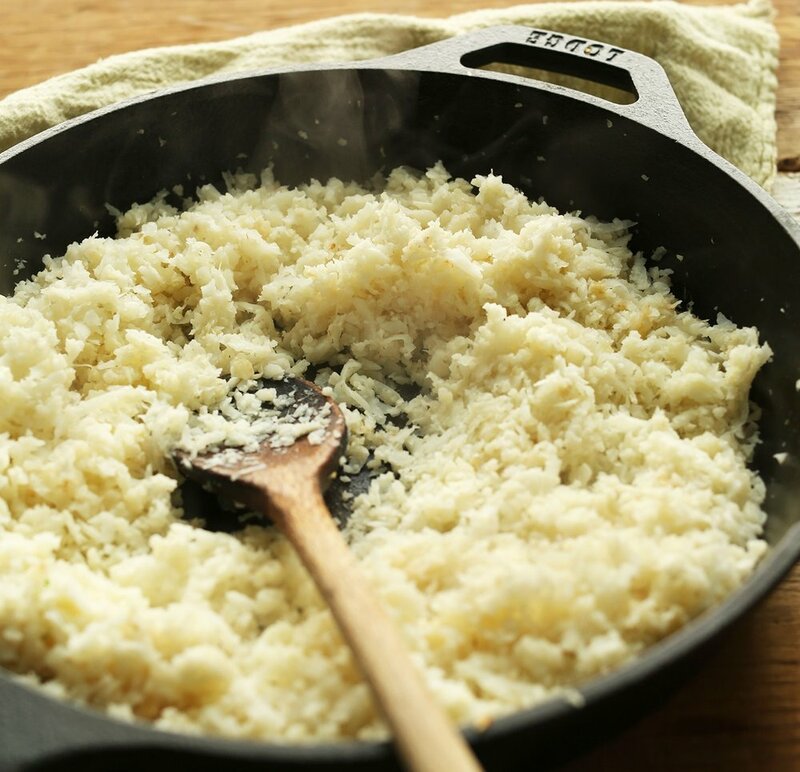 Next time you serve rice with any beans or a delicious sauce replace half of the rice with cauliflower rice! It will give your child an extra serving a vegetables, and they won’t be able to tell the difference! What you need: 1 head of of cauliflower. 1 head of cauliflower will give you about 4 servings of rice. How to make them: Cut your cauliflower into florets. Then put the florets into a blender and pulse until it is in small rice like pieces. It works best if you put in a few florets at a time. Alternatively, you could also mince them by hand! Then steam the cauliflower and mix with rice! Does your kid have a sweet tooth! We tried out this recipe for vegan Mandazi and ABSOLUTELY loved! They were all eaten up in two days! Click here for the recipe! Use the same amount of flour, but half the amounts of all other ingredients. It will make about a dozen Mandazis! Be careful with the oil when you put more into your hot pan for the next batch! It is helpful to have your pan cool between patches. Sauté them for about 2 minutes on each side. If you have another favorite family dessert recipe that you want to make a little healthier, try out these suggestions! If you find another healthy replacement that you love, share it with us on instagram or facebook by tagging Kigali Moms and Dads! Replace regular flour with whole wheat or almond flour! Sauté in sunflower oil instead of frying! Replace butter with oil especially ones with a lot of healthy fat such as coconut oil and avocado oil or with applesauce! Replace eggs with bananas! One egg can be replaced with one medium mashed banana. Summer is almost over. Soon, backpacks will be hung by the door with care stuffed with notebooks, pencils, and paper galore. School supplies shopping can seem overwhelming and expensive especially if you’re buying for two or three kids! Luckily, you can get all the items on your school supplies lists right here in Kigali. Before you hit the shops, check out the list of stores below. They’ll make shopping easier on you and your wallet. Click on this map to find a list of stores and their address in Kigali! Not sure what school supplies to buy? 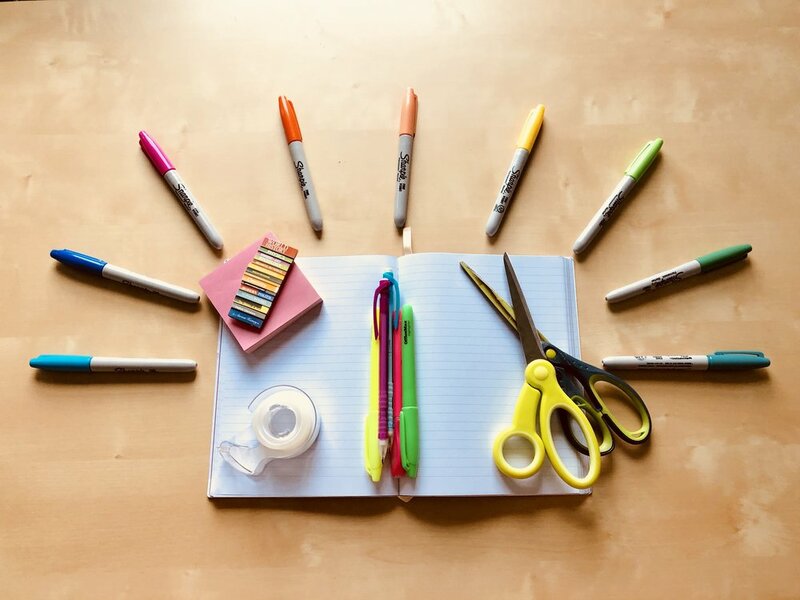 Find your children's school supplies list below! Don't see your child's school supply list on here? Email us and we can help you find it! New backpacks. Freshly sharpened pencils. New uniforms that are still untouched by playground dirt. Excited smiles. The first day of school is approaching quickly. 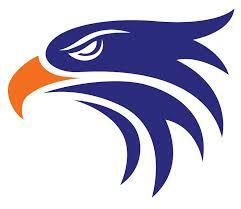 The first day of school is special day for you and your family. It is the start of a new adventure for your child and the start of a new season of the year for you as well. This year, Kigali Mom and Dads encourages you to start a new tradition on the first day of school to celebrate this special moment together! Below are some of our favorite ideas! Backpack, Camera, Smiles! An Annual Photoshoot! Make signs that say the year of school of your child. Snap some cute photos with them holding the sign! Check out our sample sign below for some design ideas. Make sure to share your photos with us on Facebook or Instagram! We can’t always start our days with sweet honey loaves or gooseberry cookies, but special days like today seem to require us to treat ourselves. 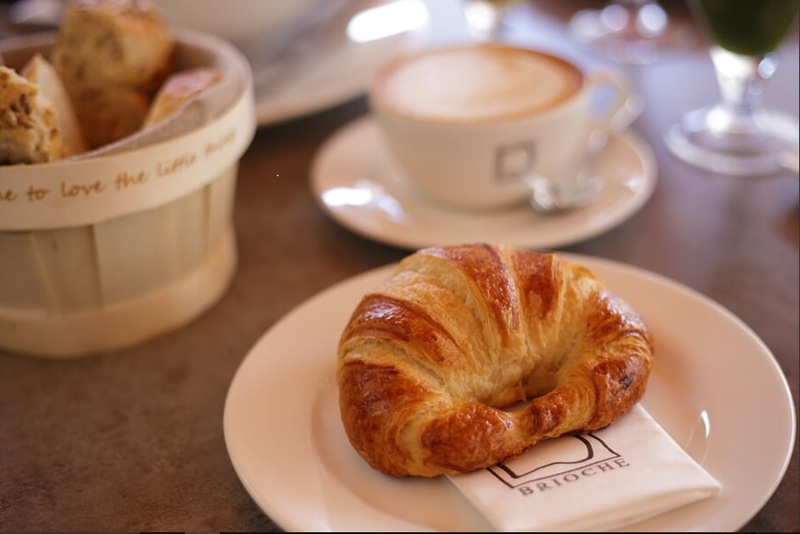 Check out the local bakeries below to pick up some delicious and local treats for the first early morning breakfast. 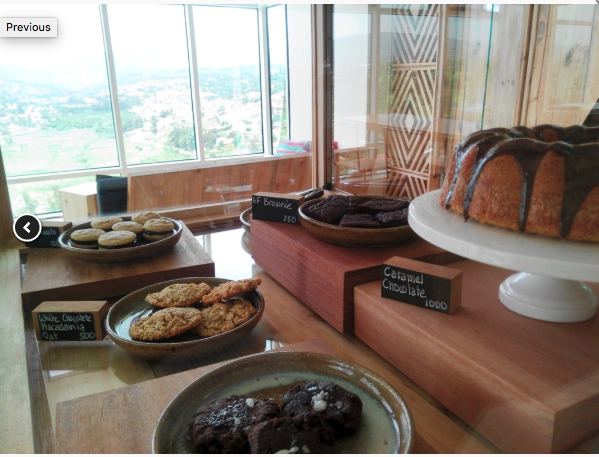 Inzora Rooftop Cafe: Visit them in the Ikirezi Bookstore at 13, KG 5 Ave, Kigali, Rwanda or online! 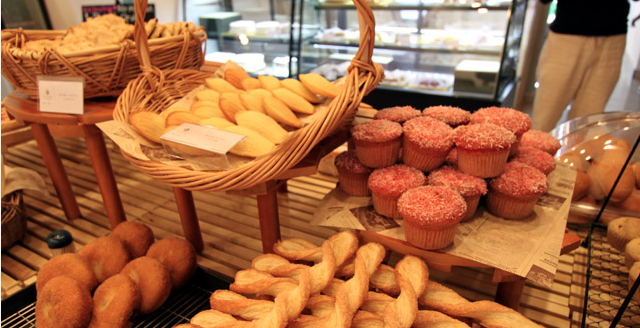 Women's Bakery: Visit them at #13, KG 176 St or online! If you're unsure what to order, you can view their menu here! RZ Manna: Visit them at 10, KG 9 Ave, Kigali, Rwanda! Write an encouraging note and hide it in their backpack! The first day of school is always full of a wide range of emotions from happiness to nervousness to tiredness after the early morning of new faces! Write a quick note to your child reminding them how loved and unique they are, and hide it somewhere in their backpack. It will light up their face when they find it later! How are you celebrating the first day of school? Birthdays are a magical time. Sugar and calories don’t seem to count. Family and friends are gathered near. And it is the one day each year that it seems like the world does revolve around you. Birthdays are especially wonderful and special for your kids. Whatever your family’s birthday tradition is, we would love to hear about it! Email us or tag us on facebook and instagram #Kigalibirthdaybashes! 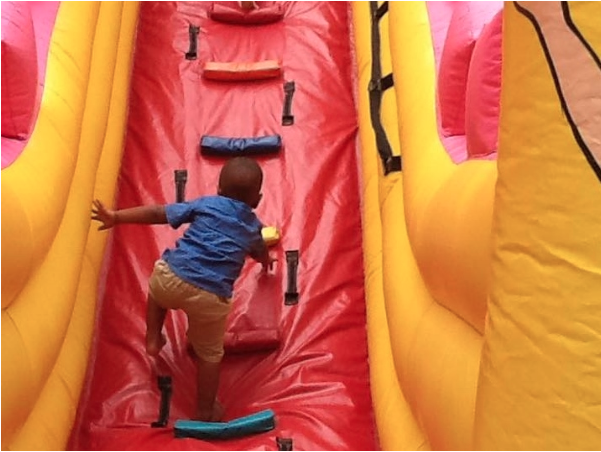 If you love to throw birthday parties for your child, here are some great party resources in Kigali in addition to the Face Painting Options here. Contact: 0782 808 800/ 0787 837 353 or email through their website! The PlayGround, a local business started by Julian Kayibanda. The PlayGround build developmentally appropriate play centers, but on the side Kayibanda builds the perfect party for your family! Need ideas on what makes a birthday party great? Check out these thoughts from kids! Full article can be found at The NewTimes. For my birthday party to be nice, I would love to eat a birthday cake, sweets, and snacks. Having my best friends around me can be great. Make your house a home that the entire family will enjoy, without sacrificing your personal style! Teri Clar from NAFASI Interiors recently renovated her family's home in Rubengera prior to moving to Kigali. 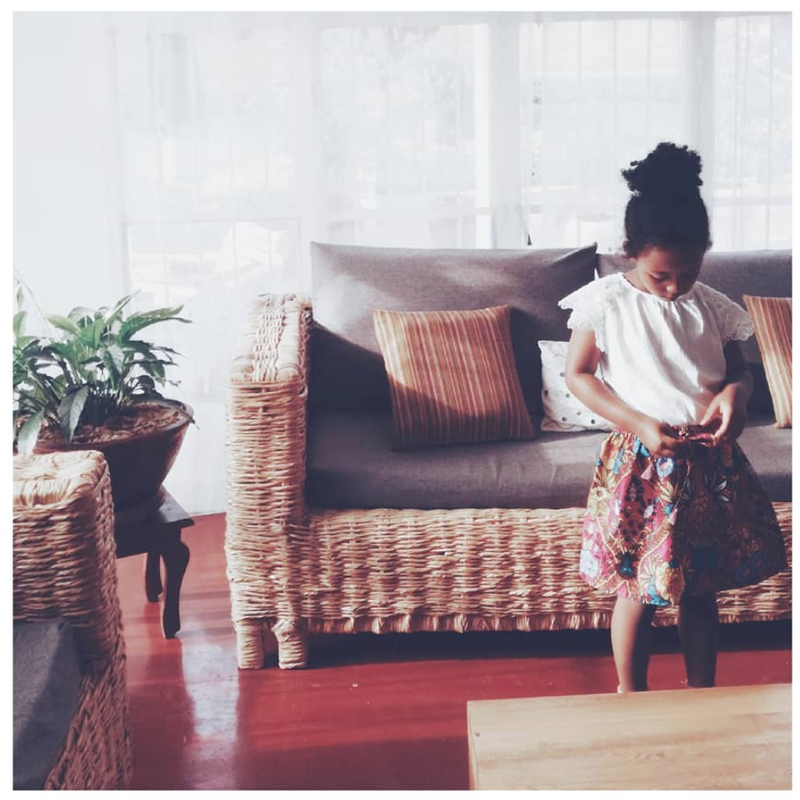 This week, she brings us her tips for designing perfect family spaces in Kigali. 1. Tell us about yourself. What brought you to Kigali? I am a young business woman, here in Rwanda for almost a year so far. I lived in Rubengera with my husband and his co-workers on a lovely campus overlooking Lake Kivu. (You can read all about our little house here and how I re-designed it throughout 2017 on my blog!). We now live in Kigali. 2. What is your favorite thing about living in Kigali Rwanda? It is one of the most consistently beautiful countries I’ve been to. You look in any direction in any town, and your backdrop is always rolling lush green hills. It’s inspiring! The weather is perfect, the sunsets are stunning. Being in an environment like this makes my mood happy each morning! 3. What are some of your design inspirations in Rwanda? In my designs here, I am all about simplification and modernization. So instead of hanging a few bowls or Imigongo pieces up on the wall, I use the lines and patterns from them as inspiration instead. I love decorating in splashes of baskets, or pottery, or batik. I think every person’s home should be unique to them and unique from the fallback of traditional decorating. Rather than overpowering a room, I love celebrating the culture in special moments: in styled vignettes, a highlighted centerpiece, or showcased art. 4. What are your favorite local shops, art studios, or galleries? I love just walking around the town market honestly! There are so many surprises in each little shop! I adore rummaging through all of the kitenge and imagining what to do with all of it. Kimironko has everything! Meeting carpenters has been a new favorite activity of mine too. :) And everyone loves Abraham Konga, am I right?! 5. What has been the most challenging aspect about working in interior design in Rwanda? And the most rewarding? Coming from DC, I had every interior design, furniture, fabric, and accessories store at my fingertips with online shopping, as well as physical showrooms, being in such a big city. While Kigali doesn’t have nearly as many options for stores and showrooms, the possibilities are still endless with custom carpentry. Now I get to dive more into furniture design than curation of pieces that already exist, and that’s a fun new challenge! 6. What are a few key tips you have for family friendly design for parents with children? No white sofas here. Make sure your cushion covers are removable and able to be washed, or spot cleaned. Bolt all of your heavy furniture pieces that could tip to the wall! And also- have fun. If there’s ever a time to use color, its while you live here in this vibrant country! And you know who else loves color? Your kids! 7. Where do families designing homes have to compromise style for practicality, and where should they never compromise? It is very true that my clients who are young and single have very different priorities in design than my clients who are young families with kids! However, you don’t ever have to compromise style. Ever. Each and every client that I’ve had always has a function they want for their space, keeping it practical for its use, that influences the rest of the design. So whether the function is to host large parties and entertain guests, or the function is to double a living room as a play space, the design always follows. So, you need a gate blocking the stairs? Let’s make it a pretty one! Tell your concerns to your designer and they should be able to make your practical needs stylish no matter what. Hi Moms and Dads! Want to win a gift certificate to one of Kigali's top shops? We are seeking input from Kigali parents to help other families better understand the education landscape in Rwanda. Complete our survey to enter to win! Great news, moms and dads! 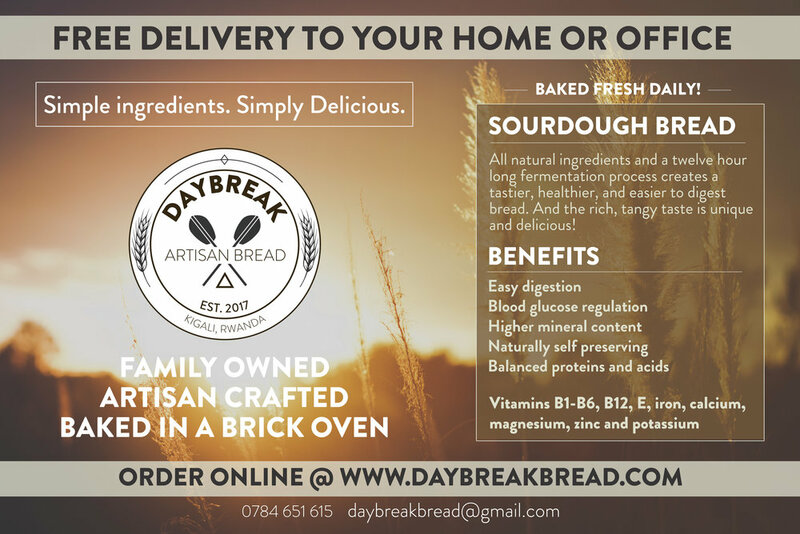 You can now get freshly baked bread, delivered right to your doorstep by Daybreak Bread. 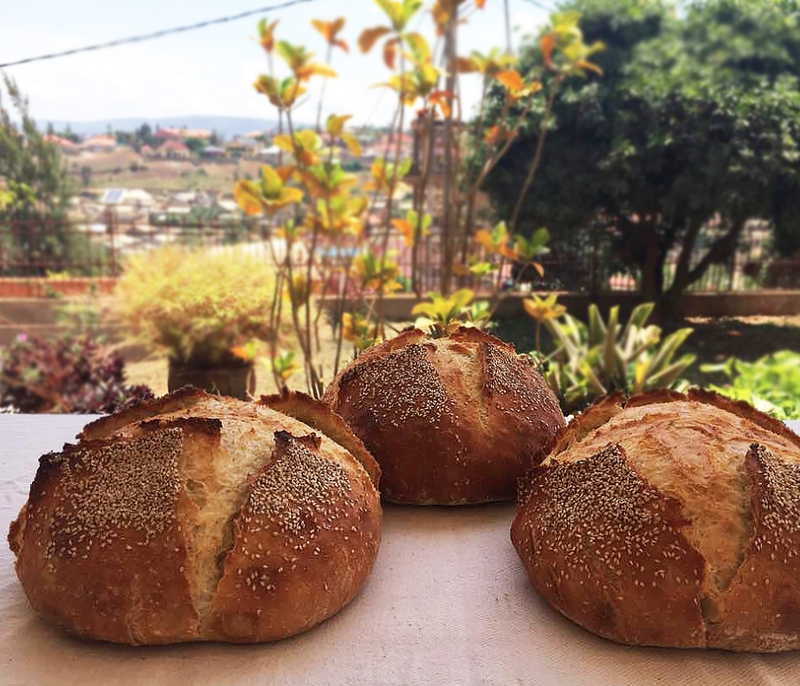 Daybreak is a family owned and operated artisanal bakery right here in Kigali. Their bread is hand crafted with all natural ingredients, baked in a custom brick oven, and delivered right to your door. 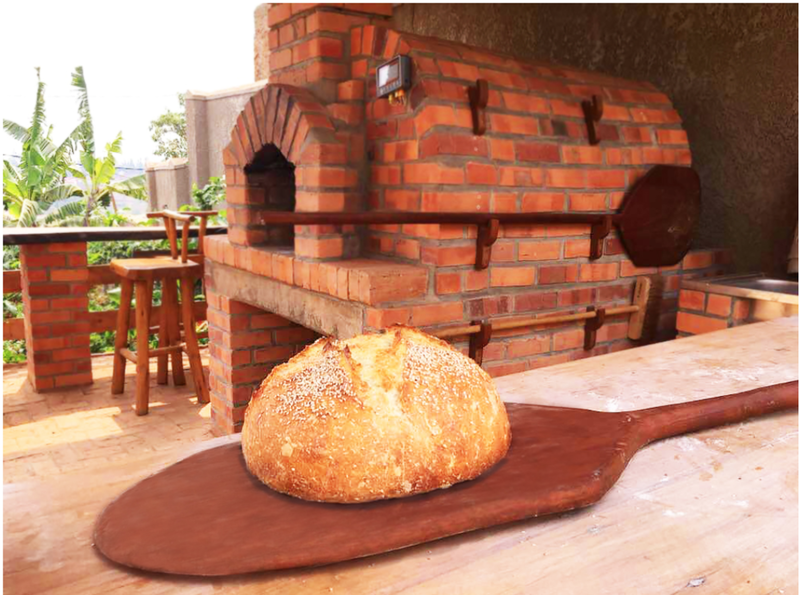 This is Kigali's first artisanal, brick oven sourdough bread. Coupled with free delivery 3 days a week, nothing could be more delicious -- or easy! It's perfect for busy parents who want to serve their families healthy, convenient, and locally sourced foods. All natural ingredients and a twelve-hour long fermentation process create a tastier, healthier, and easier to digest bread. And the rich, tangy taste is unique and delicious! Sourdough is full of Vitamins B1-B6, B12, E, Calcium, Magnesium, Potassium, Iron, and Zinc which means you'll enjoy the benefits of easy digestion, blood glucose regulation, higher mineral content, and balanced proteins and acids. Sourdough bread is naturally self preserving and stays fresh up to one week, though it's likely to be devoured by your family before then! After more than a decade of working to understand and provide solutions for East Africa’s energy needs as CEO of Great Lakes Energy, Sam Dargan decided to move into a consulting career. This allowed him to explore one of his favorite hobbies; brick oven artisanal bread. In 2006, Francois wandered into Sam’s life in downtown Kigali. Since then, he’s become family. Francois has always been an aspiring chef. He grew up with parents that love to cook and since then he’s been exploring everything from traditional Rwandan cuisine to Indian, Thai, and baking. Somewhere along the way, Francois picked up one of Sam’s bread making books and was intrigued. A few weekends later and Sam and Francois were baking their first loaves of bread and their simple little oven. They started giving loaves away to their friends at first. Everyone loved it so much that it wasn’t long before their hobby transformed into a proper bread making operation. Soon they built and perfected the locally made brick oven and Daybreak Bread was born. Once they officially decided to start up a business, they decided to dedicate themselves to only providing baked goods founded on artisanal quality and nutritional health. Daybreak uses 100% natural, home-grown yeast. Daybreak uses All Natural Ingredients and a Twelve-Hour Fermentation Process to create a tastier, healthier, and easier to digest bread with a strong, classic crust. Each loaf is handcrafted with love. The natural yeast gives the bread wonderful nutritional value and a rich tangy taste. It's time to save the planet! Here at Kigali Moms and Dads we are excited to share advice on how to incorporate the best 'green' practices in your daily life. There are several national initiatives in Rwanda to support a green economy with a push towards environmental education, conservation efforts and community involvement. Rwanda has committed to putting environment and climate change at “the heart of national development”, because the country is “climate vulnerable.” This means that the country is “likely to suffer disproportionately from the impacts of a warming planet and faces challenges in dealing with those consequences.” As an organization in Rwanda, we should be aware of these initiatives and see how we can participate, whether on an organizational or personal level. Rwanda Green Initiative has several ongoing projects, including the Giciye river protection project, and environmental secondary school clubs. 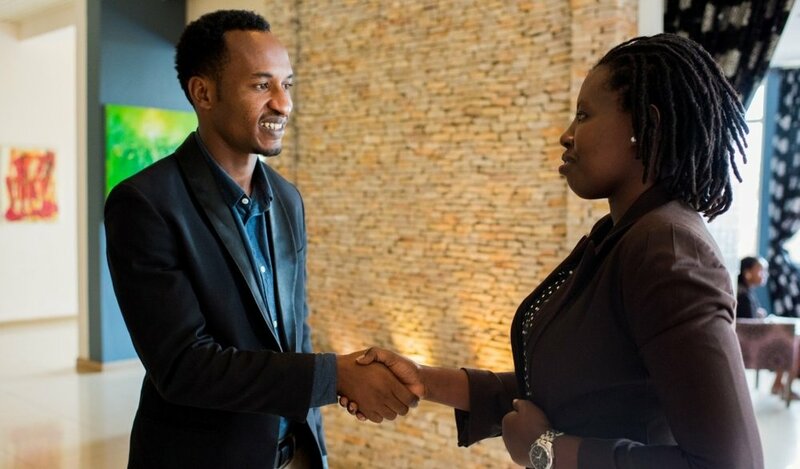 The Rwanda Green Initiative offers training in different environmental sectors to their partners and the general community through various cooperatives as a way to mobilize and support communities to use alternative sources of energy. Plastic Bag Ban Rwanda, by law, banned use of non-biodegradable plastic bags in 2008. Read more about the ways in which Rwanda is leading the charge on green initiatives. Recycling: Collect and recycle paper. To make this easy for the whole family, have designated bins for recycling. Companies like Safari Centre Ltd will pick up the paper waste on a daily basis. Low level lighting/low-energy: Use low energy lighting at home. Dusting and cleaning off light fixtures regularly can reduce the amount of energy you use. Dirty fixtures can absorb as much as 50% of the light. Strawtec Building Solutions: For new construction needs, choose an option like Strawtec Building Solutions. Strawtec boasts an affordable, fast and sustainable product. Strawtec has a negative Carbon footprint and is 100% recyclable and biodegradable. Strawtec fulfills the future requirements for sustainable, energy-efficient, healthy building materials. Strawtec’s manufacturing process produces zero toxic waste, is completely non-hazardous and requires very low energy input. No water or gas is needed. Strawtec panels have excellent sound insulation and acoustic properties, so sound from classes doesn't interfere with one another. Use smart power strips with electronics such as your home entertainment center and computer. Smart strips automatically power down electronics you’re not using, while continuing to provide power to those that need it. Unplug chargers and power adapters when not in use. When your cell phone, digital camera or laptop is finished charging, the charger still draws energy unless you unplug it. Make sure your computer’s “sleep” mode is enabled. The computer will switch automatically to a low-energy mode when you’re away, cutting energy usage by more than half. Screensavers don’t save energy. The best way to reduce your computer’s energy use is to turn it off when you are not using it. Turn off the lights when you leave a room. This energy-saving measure has been around for centuries and it’s as effective as ever. Bring a Reusable Bottle: A plastic bottle often travels thousands of miles before you buy it, so carry a reusable container when traveling (you can ask a flight attendant to fill it up on the plane so you don't have to use the plastic cups, and you get more water to drink! Just make sure the bottle is empty before you go through security). Book non-stop flights, or trips with fewer layovers, whenever possible. A significant percentage of a plane’s carbon emissions come from takeoff and landing. Consider purchasing a carbon offset for your flight (options available for the following airlines: Delta, United, KLM, Kenya Air). Other options for 'flying green': Try to purchase day-time flights rather than red-eyes/overnight flights: flying during the day is thought to be more eco-friendly because an airplane's contrails reflect sunlight, limiting the amount of warming caused by emission. If you have the option of choosing between airlines, review your options on this International Council on Clean Transportation report which lists airline carriers by fuel efficiency. Most job seekers will agree that the East African job market can be tough. Even those with full-time jobs may find it hard to make ends meet, especially if you're raising a family. But don’t despair. It’s not all doom and gloom. Plenty of people are getting creative and finding work outside the formal sector. Even if you’re not hoping to add some extra girth to your wallet, side jobs offer an opportunity to develop talents or skills you don’t get to use in your day job or if you are at home with your children. Want to hone your writing chops or learn a new programming language? There’s a part-time role for that. Here are eight of our favorite side jobs in East Africa. With more companies and media outlets on the lookout for bloggers who can generate leads with clever content, interest in blogging is growing. Blogs like Daudi Were’s Mentalacrobatics popularized the writing form in East Africa in the early 2000s. 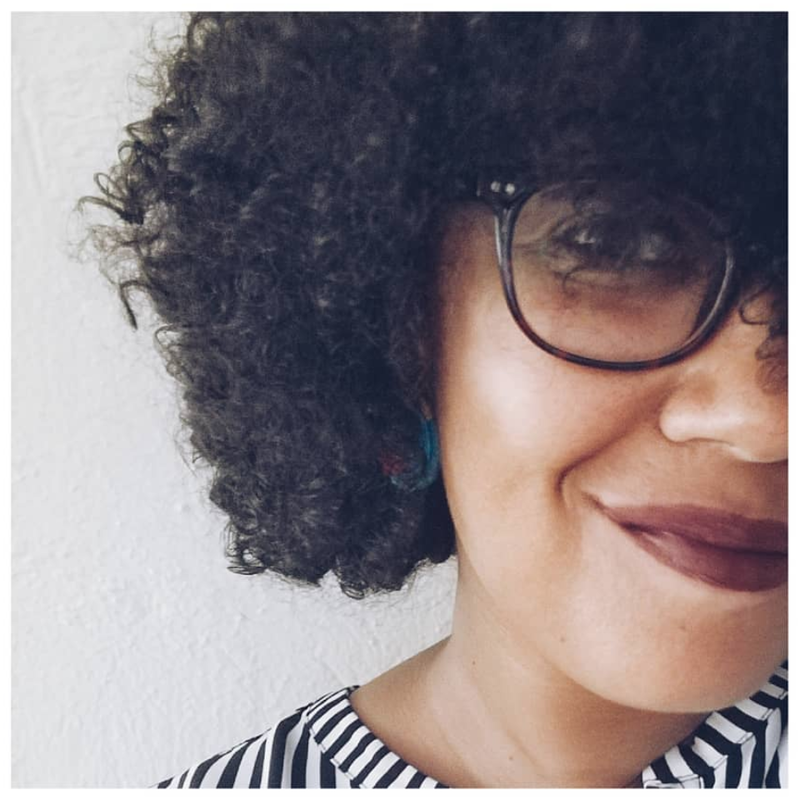 Many East Africans are now monetizing their work and running a blog as a side job. For prolific writers, it can be goldmine, particularly as more companies outsource blogging and hire writers around the world. Platforms such as Elance connect freelance writers with employers hungry for compelling content. Other bloggers, such as fashion blogger Sharon Mundia of This Is Ess, have gone solo and turned their part-time blogs into full-time jobs. Software developers design and build computers programs. Globally, software development is one of the five most in-demand jobs, and there simply isn’t enough talent to go around. Consequently, many employers are turning to remote workers to fill the gaps, with some Western companies turning elsewhere to find more affordable developers. For this role, you’ll need to know about software and programming languages. It helps if you’re a natural problem solver too, as much of your work will entail creating technical solutions for businesses and users. As a software developer, you can work from anywhere and for many companies across the globe, provided you are connected to the Internet. Even better, classes to help you master the basics of software development are often available online. Check out these free courses to get started. New legislation, such as the UN’s Convention on the Rights of Persons with Disabilities, has put the rights of people with disabilities on the global agenda. As nations scramble to expand diversity programs, churches, media outlets, and even corporations are doing the same. Many of these institutions are looking for part-time sign language interpreters. Developing a gorgeous blog header and putting together a striking homepage can earn you quick cash on the side. With thousands of business seeking an online presence each day, you don’t have to look far for short-term gigs. If you’re new to the world of web design, check out free resources like Lifehackers’ “How to Make a Web Site: The Complete Beginner’s Guide“. Once you feel confident with your web design skills, don’t forget to create your own blog or website to showcase your work and attract potential clients. 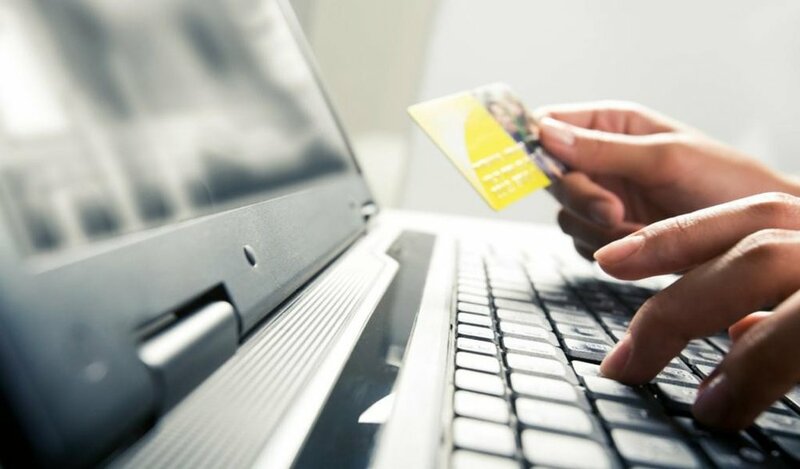 With growth of eCommerce, companies have to attract customers who will never set foot inside their businesses. Many do this with beautiful and enticing images. 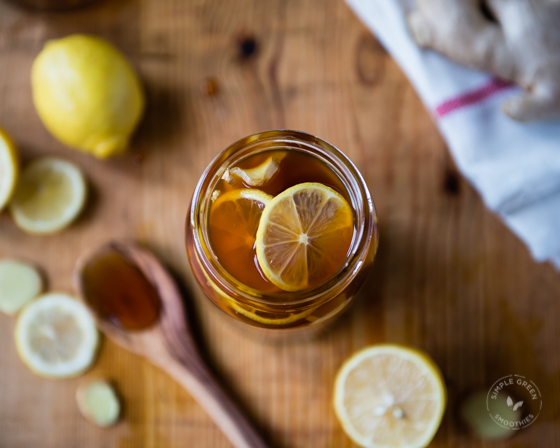 Freelance product photographers showcase businesses and their goods in the best possible light. They set the scene, tweak the lighting, and capture the shot. This job requires a high degree of technical skill, so don’t think an active Instagram feed will bring companies to your door. Develop your skills by enrolling in a photography certificate program. Some graphic design experience will give you an added advantage, as you’ll need to retouch and edit photos. Once you’ve got the skills, get your name out there by creating pin board on Pinterest and a Flikr account with your best work. A website with a photo gallery can also help advertise your services. If you are an expert in a subject, share your knowledge with others as a coach, instructor, or private tutor. Whether you are showing a young child how to sing or coaching a university student through high-level algebra, you can earn some extra cash while keeping flexible hours. Rates vary widely depending on the demand for a particular skill in your area. Generally, you can command higher pay for expertise in learning-intensive subjects, such as foreign languages or math instruction. Are you an aspiring tutor? Advertise your services on Kigali Moms and Dads. Small- to medium-sized business in East Africa are often on the lookout for part-time bookkeepers. And demand for bookkeeping is sure to rise with startups springing up all over the region — these budding businesses need accurate books to appeal to investors. Bookkeepers are responsible for recording a business’s financial transactions, so you’ll need to be good with numbers and obsessively organized to excel in this role. You’ll generally need at least a secondary school education and a certificate or diploma in bookkeeping or accounting. If you prefer flexible hours and working alone, transcript processing can be a lucrative side job. As a transcriber, you’ll turn audio files into text. General transcription assignments can range from lectures to meetings to dictation notes. You should have basic computer skills and strong attention to detail. If you can transcribe recordings quickly and accurately, you can make up to US$40 per hour, though rates vary depending on the project at hand. Elance offers a wide variety of transcription jobs from all over the world. The Akilah Institute in Kigali is now offering Certificate Courses in business English, IT, web development, mobile app development, and more! These 6 week courses are a fraction of the cost of traditional schools and provide high quality education. You may have tried to create a company, and it tanked terribly. But how many entrepreneurs really nail it on the first attempt? Or maybe you assumed entrepreneurship runs through your veins but can’t seem to find the motivation to turn your prototype into a viable product. Add on the responsibility of raising a family and how do you really know if you’re made for the gritty but rewarding journey of starting an enterprise? Here are eight surefire signs that you’re an entrepreneur at heart. 1. You never take no for an answer. It doesn’t matter what people say or what they think. You are tenacious like a bull dog with a resilience that would make Steve Jobs blush. Instead of a setback you see an opportunity to try something else. You just never give up. Your ideas may seem berserk to others. Your concepts take a risk and offer a product or service that most could not fathom. Amazon founder Jeff Bezos said, “Entrepreneurs must be willing to be misunderstood for long periods of time.” When you are creating genius very few people, if any, will understand you. But you believe in your ideas and are willing to refine them and execute. 3. You’ve got a competitive edge. It doesn’t matter how many people out there have already established a similar business idea. You know you can do it better. Google founders Larry Page and Sergey Brin understood that other companies had developed search engines, but that didn’t stop them. They knew they had a better product, and they went for it. 4. You’re passionate about what you do. That roaring feeling you have in your belly that keeps you going like an Energizer bunny until 2 a.m.? That’s passion. Business looks great when you hear the romanticized versions of Apple and Google’s meteoric rise. But how about those early days with no clients and no money? When your concepts fail, and your customers complain, and you feel like giving up, the only thing that keeps you going is that undying desire to succeed. 5. You’ve got heaps of initiative. No one has to hold your hand and tell you what to do on a daily basis. You figure that out for yourself. You don’t fumble around waiting for someone to show you how to perform a task or suggest a solution. You figure it out. You seize every moment. Most entrepreneurs start their days early, as in 4 a.m. early, and work around the clock. If you thrive on putting in double time, you might have met your calling. 6. You’re comfortable taking charge. You have a plan, and you see it through. An entrepreneur takes charge of what they need to do, however uncomfortable or nerve-racking it may seem. They’re not uncomfortable with persuading others to follow them and build something great. They will do whatever it takes to ensure their dream sees the light of day. 7. You make the most of what you have. Don’t have all you need? No big deal! You improvise. You get creative. You ask for advice. You don’t give excuses for what you didn’t or couldn’t do. Bottom line: You make it work. 8. You’re not afraid of risk. You don’t ask for permission. You dive in and apologize later, if necessary. You’re not what psychologists call “risk averse”, but you might be the opposite. When you see a challenge, you want to rip it apart and show it who’s boss. No if’s or but’s about it, you do what it takes to execute your dream. Kigali, Rwanda’s impressively organized and clean capital, is growing fast. With the population expected to hit 3 million by 2025, it is quickly developing the amenities found in larger neighboring cities like Kampala and Nairobi. Goods and services previously nonexistent are becoming readily available. However, with its current 1.3 million residents, the city maintains somewhat of a small-town feel. While on its way to becoming a major regional hub, Kigali attracts with its quaint charm, manageable size, and growing private sector. 1. Welcome to Endless Summer. Kigali’s weather is reliably mild. 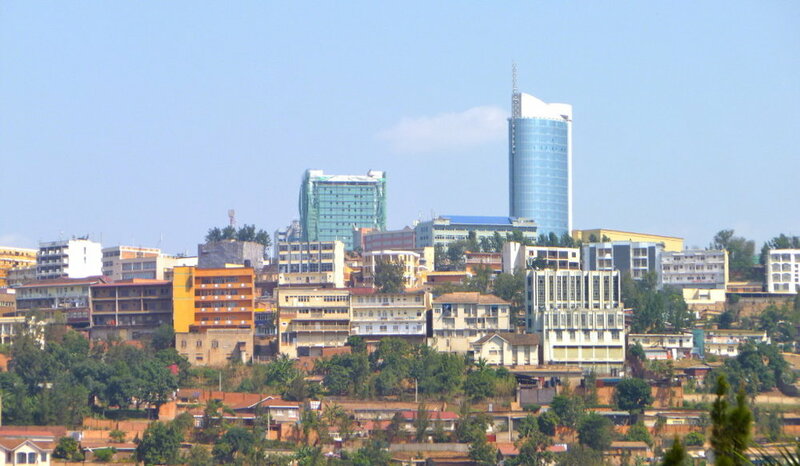 Although Rwanda sits just a few hours’ drive from the equator, the city’s altitude of 5,000 feet ensures conditions that are dry and never humid. While the sun can be hot at midday, nights and early morning are always cool and crisp, so pack your layers. Rainy season in the spring and fall can be grey, but it sure beats snow and ice. Just be sure to invest in a trusty rain jacket. 2. When it comes to housing, bigger is better (and cheaper). Apartment buildings are new to Rwanda and there are few in Kigali. Those that do exist are quite pricey. Instead, most people opt for house shares. Kigali presents a range of housing, from modest one-story houses with large gardens found in the older neighborhoods, to large Malibu-style mansions in newer areas. Housing can be found on a number of Craigslist-type websites, such as Living in Kigali and the kigalilife Yahoo group, but word of mouth is the most common way to find open rooms. 3. The shortest distance between two points is a moto-taxi. While owning a car is ideal, especially during the pesky rainy season, for those without four wheels of their own, motorcycle-taxis are the answer. Although not the safest form of transport, motos are no doubt the fastest way to get where you need to be. Effortlessly weaving through traffic jams, moto drivers can be found cruising the streets in every neighborhood, at every hour of the day. Hail one, hop on the back, and tell them where you need to go. Moto drivers know every corner of the city and never hesitate to take detours onto dirt roads, back alleys, and even sidewalks to get you to your destination. Rates start at 300 francs (less than $1), and most places in the city are accessible for under 1,000. 4. Confirm, confirm, and re-confirm appointments. Having learned the hard way, I can safely say that confirming meetings, be they business or social, can save you hours. When scheduling an appointment, especially with a person of high office, confirmation in the form of both an email and text message, as well as a call the morning of the meeting and perhaps another phone call on your way over, are quite necessary. Otherwise, you may find yourself waiting an entire morning, or without a meeting altogether. 5. Don’t fear the streets. Kigali is a surprisingly safe city. Police and military patrols roam main roads throughout the night, with an eye out for troublemakers. Of course, basic precautions for urban living should be taken as in any city, but most crime in Kigali is petty theft, with very little of the violent crime found in other major cities. 6. Buffets are the way to go. With a young and nascent service industry, wait times at Kigali restaurants are notoriously long. Professionals get around this by frequenting the city’s many bountiful buffet lunches. 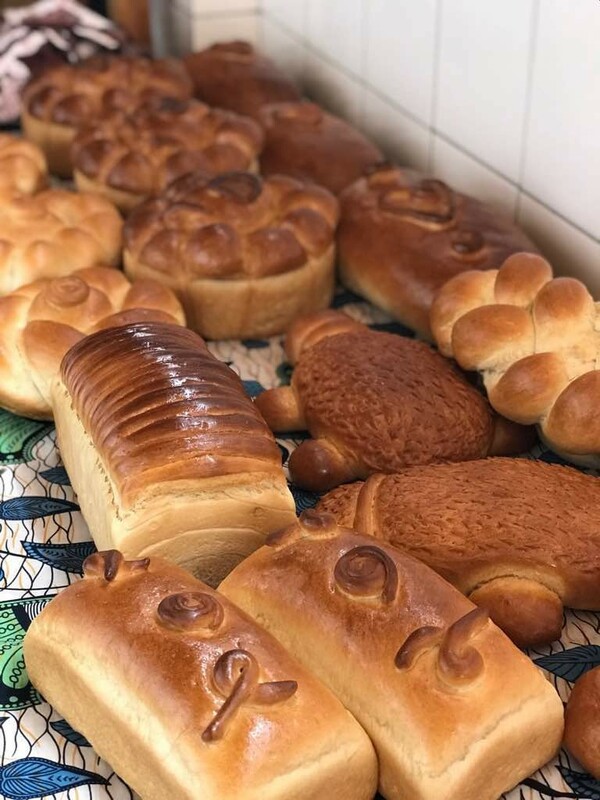 Whether you’re on a $5 budget or looking to impress a client at the swanky Serena Hotel, there’s a buffet for every need, in nearly every neighborhood. 7. The Internet is only getting faster. With the introduction of 4G LTE this year and fiber optic cables crisscrossing the country, Rwanda’s connection speeds are set to pick up. The country’s target is to have connectivity even in the most remote villages. 8. Take time to escape. 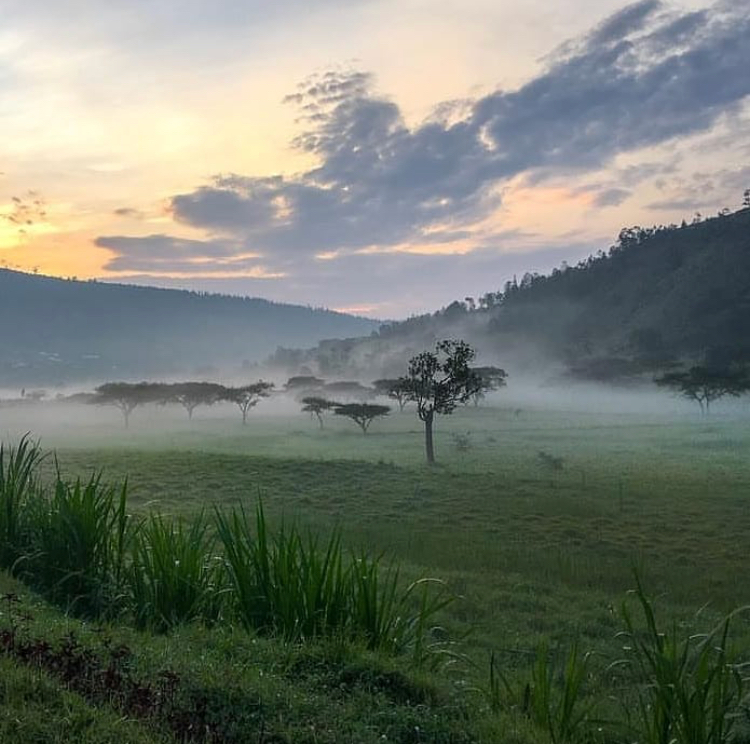 Kigali is small and the routine can get old, so remember to take time to get out into the beautiful Rwandan countryside. Kigali is centrally located and excursions to lakes, mountains, and national parks are easily doable. A lazy weekend by Lake Kivu in Gisenyi or Kibuye can rejuvenate you for the week ahead, while hiking Mount Bisoke or Karisimbi promises adventure. Social life revolves around house parties and private gatherings. Kigali feels even smaller than its size, and you will soon start to see the same familiar faces everywhere you go. Before you know it, you’ll know everyone! Kigali may seem baffling at first with its absence of reliable addresses and street names, but the city (and the entire country, in fact) is a series of peaks and valleys demarcated by landmarks. Getting to know the city neighborhoods by their hills and landmarks will help you navigate this maze like a pro. Until you commit this labyrinth to memory, there’s a handy new map to help you out. Your presentation is the first thing employers see when you walk in the door for a job interview. They’re assessing everything from your clothing choices (is your outfit professional? modest? too revealing?) to your personal grooming (did you comb your hair?). 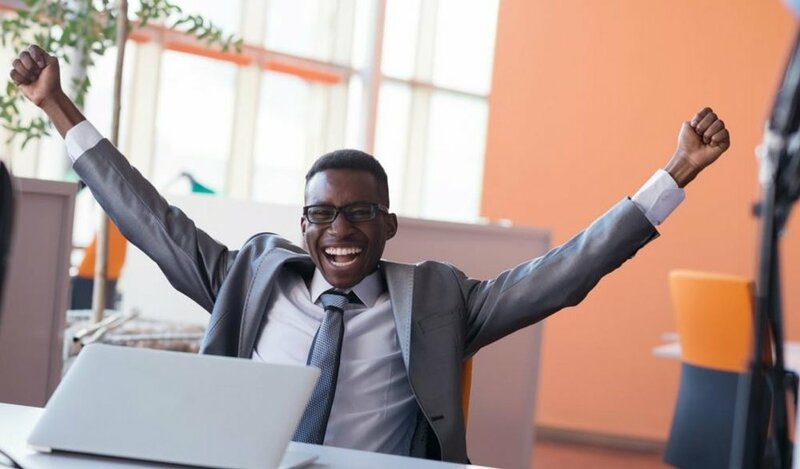 For parents returning to the workforce or for those looking to change to a new role, here are tips on how to dress for success for your next job interview. This rule applies to both men and women. Don’t wear large, distracting jewelry; bold clothing choices; or overpowering scents. If a hiring manager only remembers you for your attire, then you’ve done something wrong. Your clothing should complete your image as a professional, not detract from it. Make sure all of your clothing is clean and spot-free. It should also be ironed with no wrinkles. Remove any outside tags and loose threads. This might sound picky, but it shows that you are meticulous and detail-oriented, traits that employers took for in new hires. Employers will be assessing how you take care of yourself. So make sure your fingernails are clean, you’ve applied deodorant, and your hair is neat. Clean up the way you would before attending church or a family member’s wedding. Apparel: We recommend wearing a blouse with a blazer and a skirt or formal trousers. For skirts, the hem should fall 1 inch below or above the knee. Make sure your clothing is not too tight or too revealing. For shoes, go with a small heel. If you’re teetering around, it’s not good. For interviews at the managerial level or a particularly formal establishment, consider wearing a matching two-piece suit. Accessories: Less is more here. Some stud earrings and a small necklace are perfect choices. Avoid big, clunky jewelry that may distract your interviewer. Personal grooming: Again, simplicity rules the day here. You’re interviewing for a job, not attending a party, so save the elaborate hairstyles and makeup for another occasion. Braids or a bun are great choices that project a professional image. Apparel: Go for nice slacks and a collared dress shirt. Some positions, such as concierge, may require a jacket or full suit. If you’re not sure, ask the interviewer. And always wear dress shoes. Sports shoes and sandals are a definite no. Accessories: A wedding ring and wristwatch are acceptable accessory options. Leave the other jewelry at home. You should also wear a belt and tuck your shirt in. Personal grooming: Make sure to shave before the interview or trim any facial hair. Check that your hair is neat and clean — consider scheduling a hair cut before the big day. Most importantly, be confident. Poise and self-assurance enhance any outfit. Luckily, adhering to the proper dress code is 100% within your control. So make sure that your appearance is helping, not hurting, your chances at the job. For many young professionals and parents in East Africa, whether recent graduates or mid-career employees, today’s economy can be tough. Competition for coveted jobs is stiff, and employees are overstretched and underpaid. Fortunately, online jobs offer supplemental income and flexible hours for busy parents. In these days of the information superhighway, there are thousands of online jobs for the enterprising individual. Remote work can provide extra income or pay the bills between jobs. These so-called side hustles can even turn into full-time jobs or provide capital for job seekers to launch their own businesses. However, caution is key. Many websites advertising online work pay next to nothing — or worse, scam people out of time and money. Here are six websites that provide credible online job opportunities to earnest workers worldwide and pay via a verified third party. This American website hires content writers, editors, transcribers, and micro-taskers. Applicants are required to complete an assessment before joining the site’s workforce. The assessment is free, and once you’re approved, you can select tasks you’re qualified for, while building your credentials for more complex assignments. Earnings vary from task to task. For writers, payment ranges from US$2.50 to US$15, depending on the size and complexity of the assignment. Note that CrowdSource is strict on quality control, so your account can be closed if your output does not meet required standards. To receive payment, you’ll need to provide a PayPal account. Tip: You can transfer the money you earn to an Equity Bank account — a transaction takes around eight days. This is Africa’s work-at-home website. It pools jobs from around the world. By registering with them, you get access to diverse opportunities, ranging from data entry and transcription to captioning and content writing. You may even have the opportunity to do voiceovers. It’s ideal for young East African professionals who want to learn new skills or perfect existing ones while earning an income. The application process takes approximately one hour; it includes an English proficiency test. Rates vary depending on the task at hand. This is the go-to site for creatives who have a way with words. Once you complete the free registration, you’ll be able to view jobs on your dashboard. The opportunities range from writing website content and drafting slogans to selecting domain and brand names and developing taglines. Coming up with a catchy slogan or domain name can earn you anywhere from US$50 to US$1,000. However, your earnings depend on the client selecting your idea from other submissions, so it’s not guaranteed you will be paid for every contribution. When you’ve made a successful pitch, you’ll receive payment via Paypal. This Canadian website hires freelance voice actors from all over the world on their clients’ behalf. When registering, you’ll be asked to upload recordings of your voice. If a client likes what he or she hears, you’ll receive an audition text for voicing and uploading. If you are hired, money is provided by the client to Voices.com. Once you complete the job to the clients’ satisfaction, the money is released to your PayPal account. There four levels of registration: Guest, Premium Lite, Premium, and Platinum. The Guest level is free, however, you can’t access any jobs unless a client specifically selects you. For higher levels, you pay Voices.com an annual or monthly fee to access jobs and auditions. At the top membership grades, the assignments pay more, and you can audition for all publicly posted jobs. Per job, you can earn upwards of US$100. If you are good at Photoshop, why not try your hand at helping others learn the ropes by creating tutorials? You can earn anywhere from US$50 for a quick tip to US$300 for a full tutorial. Starting is simple: you fill out a form with your idea, and the Photoshop Tutorials staff will let you know if it qualifies. If tutorials aren’t your thing, you can also write short articles and roundups for US$25-50 per submission. If travel is your passion, then definitely check out the Matador Network. The website accepts original travel writing, photos, and videos. If selected, you’ll receive US$20 to US$25 per story, though higher rates can sometimes be negotiated. Not sure your travel writing skills are good enough? You can also sign up for courses in travel writing, photography, and filmmaking. Note, however, that each course costs US$475. 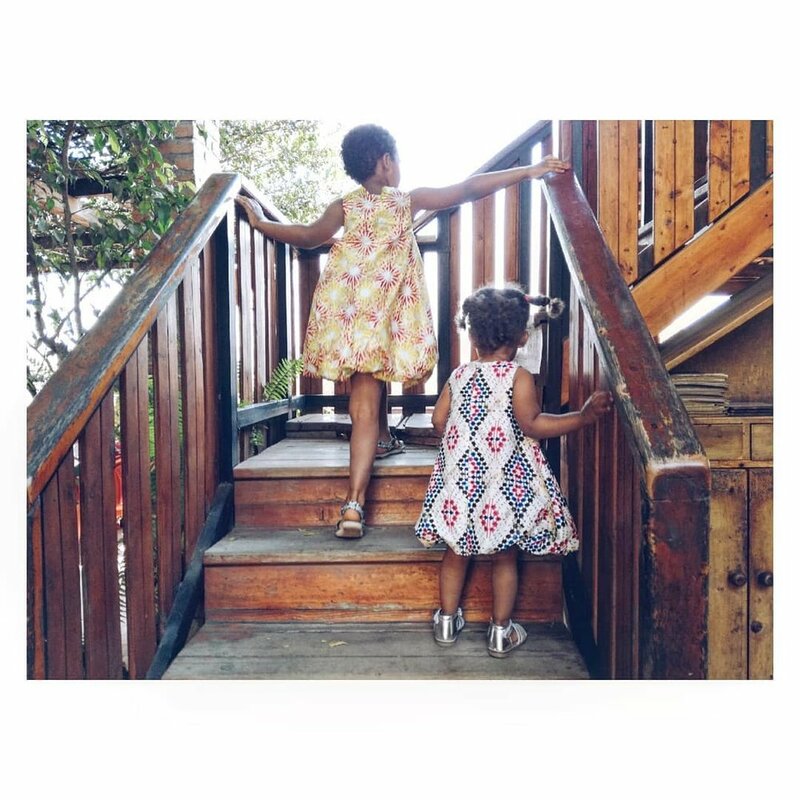 A unique piece of Rwandan artwork is a beautiful way to dress up your little one's nursery or the family living room. From paintings to sculptures, many Rwandan artists today are self-taught and provide custom art services. This offers families the opportunity not only to customize artwork for their home or to give as a gift, but also let's you get to know the artist and perhaps even visit their studio! This personal touch makes your artwork even more special. One artist, Serge Niyonsaba, originally from Rubavu, but now based in Kigali, has loved drawing and artwork since he was a child in primary school. Today he creates striking custom art pieces for families and parents including Cherie Blair, a leading barrister, human rights advocate and staunch supporter of women's rights. Serge loves doing portraits and adapts his distinct artistic style in his depictions of family photographs. 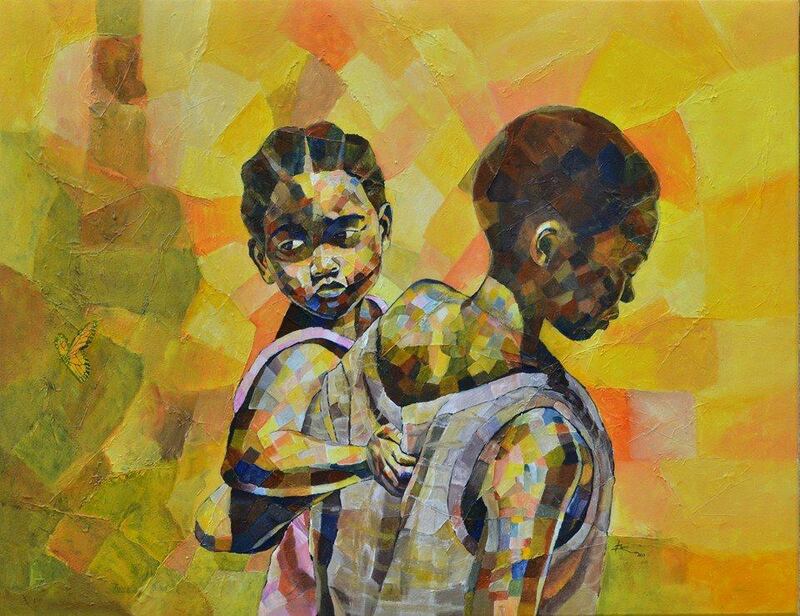 Want to see more talented Rwandan artists? Check out one of these galleries right here in Kigali. Inema Arts Center provides space for 10 artists-in-residence to explore their creative talent through painting, sculpture, and mixed media expression. The Gallery in Inema Arts Center showcases Inema artists' work alongside contemporary art from around the world. 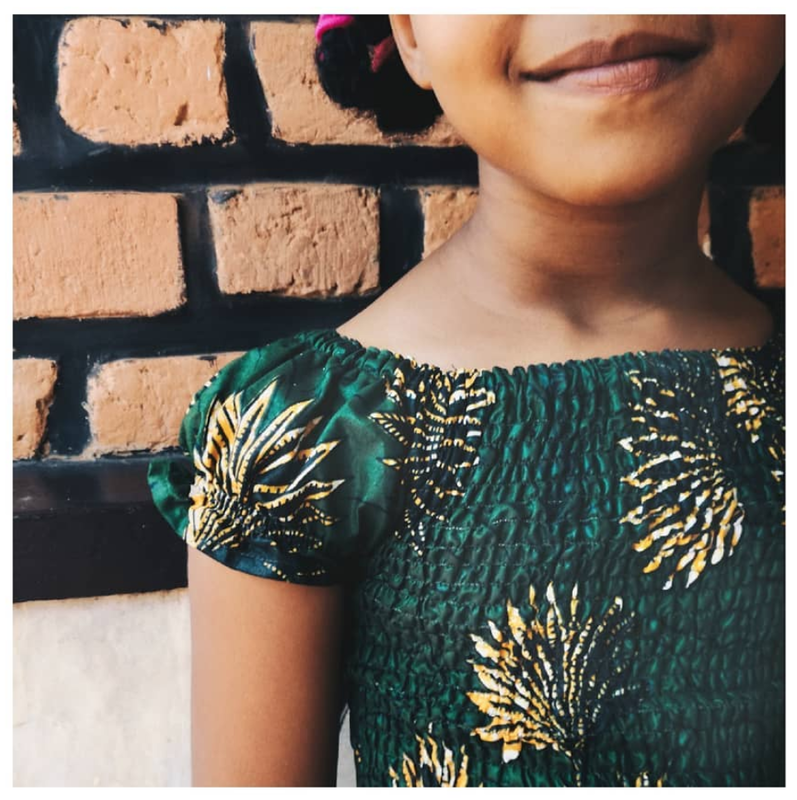 Inema’s Arts Center flagship programs, including Nziza Artworks, Art with a Mission, and Inema Dance, each cultivate young Rwandan creatives to develop livelihoods in the creative arts. 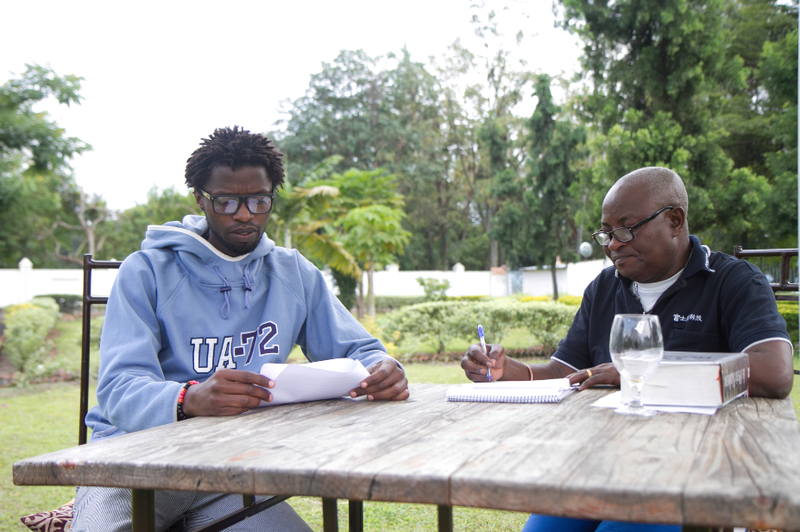 Through workshops, trainings, and hands on classes, the Inema Arts Center expands creativity throughout Rwanda and the African continent. Since it's inception in 2007, Ivuka has been honing skills of young Rwandan artists through self-sustained programs that would boost their self-esteem, harness their artistic development and create local and international exposure for their creations. Today Ivuka boasts to have produced Rwanda’s current top artists most whom have grown and moved out of the center to establish their own studio spaces. artworks especially paintings are hang on display for visitors to view. NIYO Art Gallery features local artists and is part of the NIYO Cultural Centre. Proceeds from art sold support vulnerable children from the centre.